Hello there! It's Sam the #plannernerd to share how I use some of the Shop Evalicious new release in my planners. I actually started scrapbooking and card-making 4 years ago. And as time passed by, life getting more hectic with my2-year-old and also my little online store, scrapbooking has became a luxury for my hectic schedule. 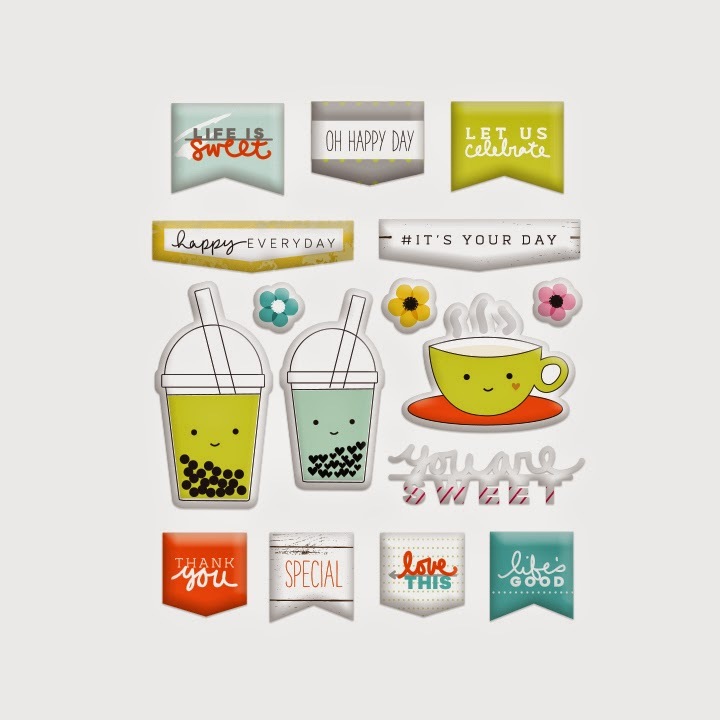 I am still shopping for pretty scrapbooking papers, stickers and stamps although i don't really use them for scrapbooking layout per-se. 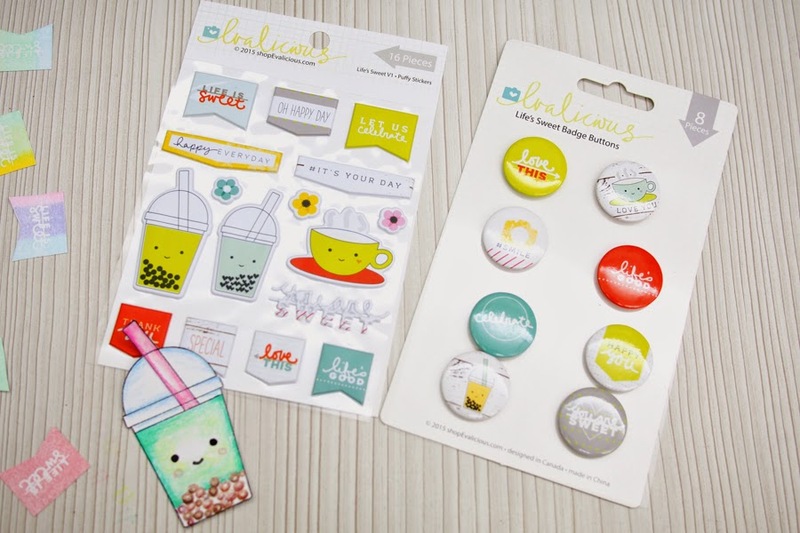 I always like to use these pretty scrapbooking goodies in my planners and I am going to show you some of the planner DIY ideas today. 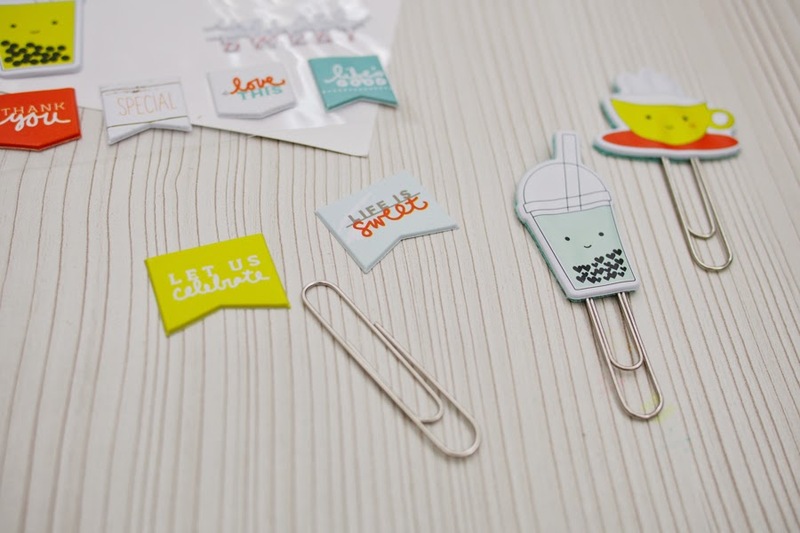 Today I am using various goodies (puffy stickers, badges and stamp sets) from Life's Sweet collection to make bookmarks and paper clips. 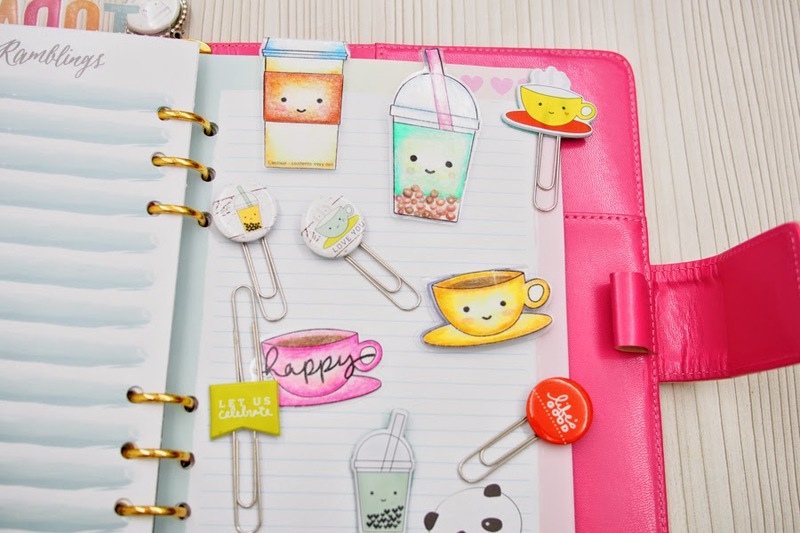 Nothing beats making cutesy paper clips to brighten up my planners. 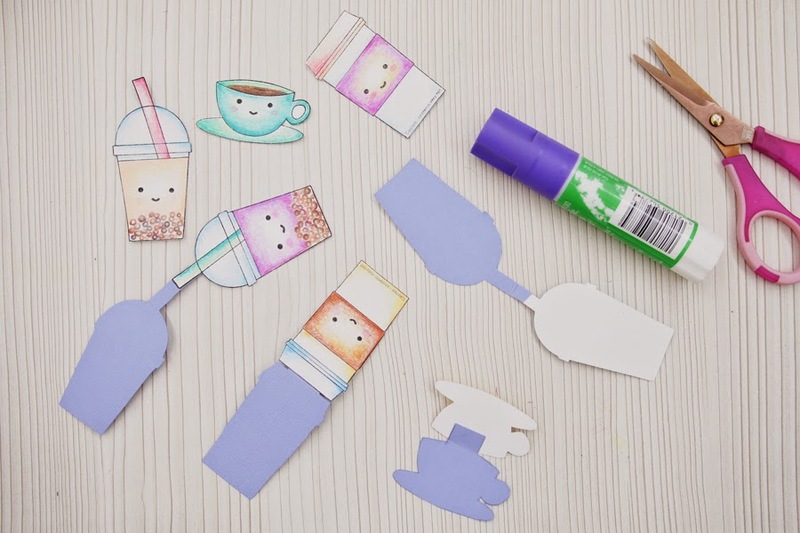 I stamped a number bubble tea and coffee cup images and use Prismacolor to colour them. It took me a while to colour them because this is my second time using colour pencils. 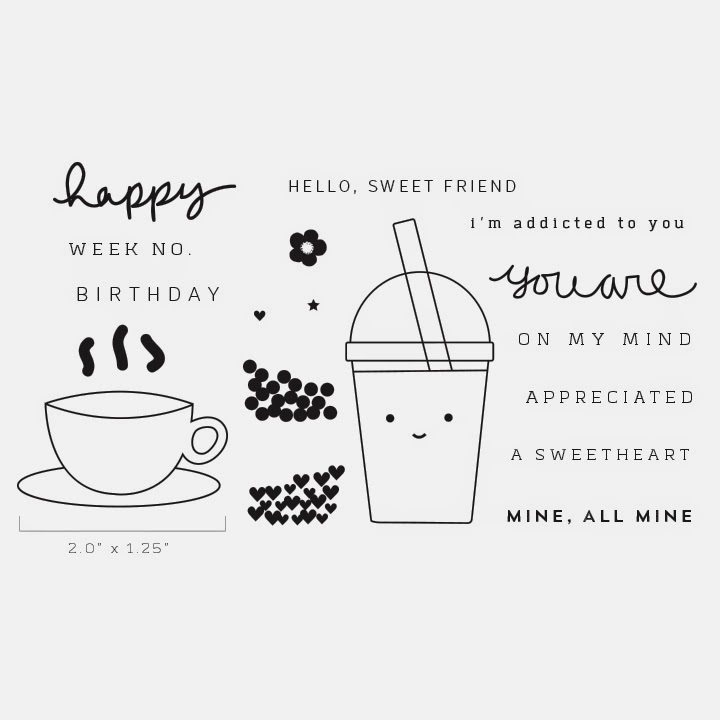 I love that the stamp set comes with cute smiley face, bubbles and hearts (for the milk tea) and also hand-written sentiments. I also stamp the banner (that says Life Is Sweet) using my water-colour stamp pad from Kodomo no Kao (my bestie got it for me from Japan). 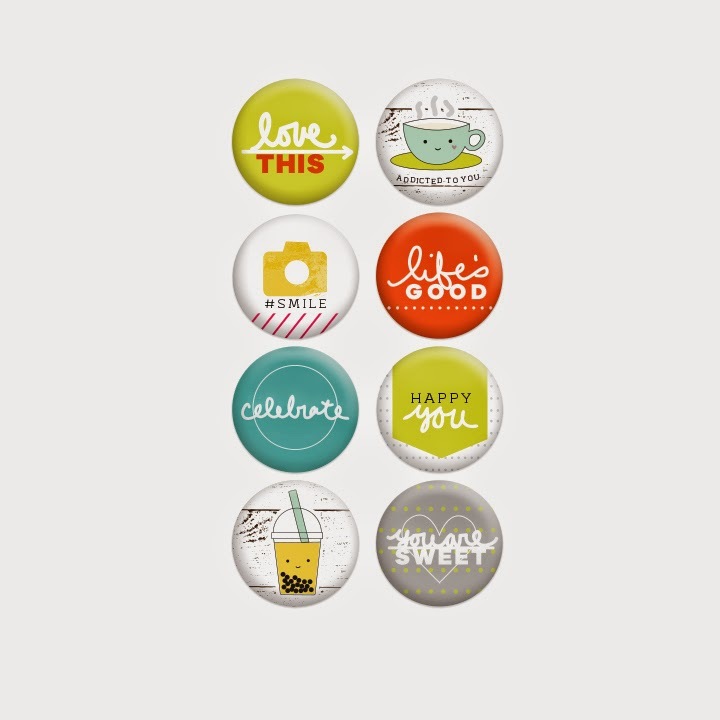 These badges are so cute but it would be too bulky to be use in the planner pages. So I turned them into paper clips. 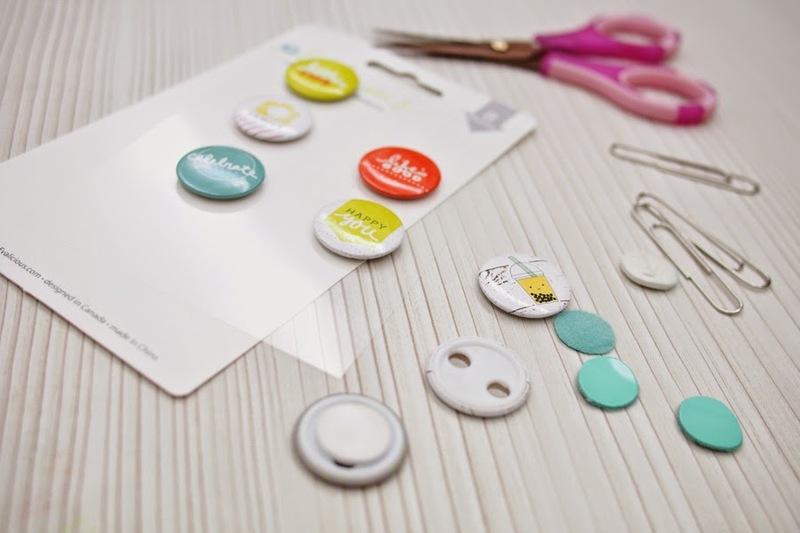 All you need is hot melt glue (or any strong adhesive), paper clips, badges and a piece of felt. I cut some circle shaped felt pieces (or faux leather) by using the circle foam adhesive from the back of the badge as template. 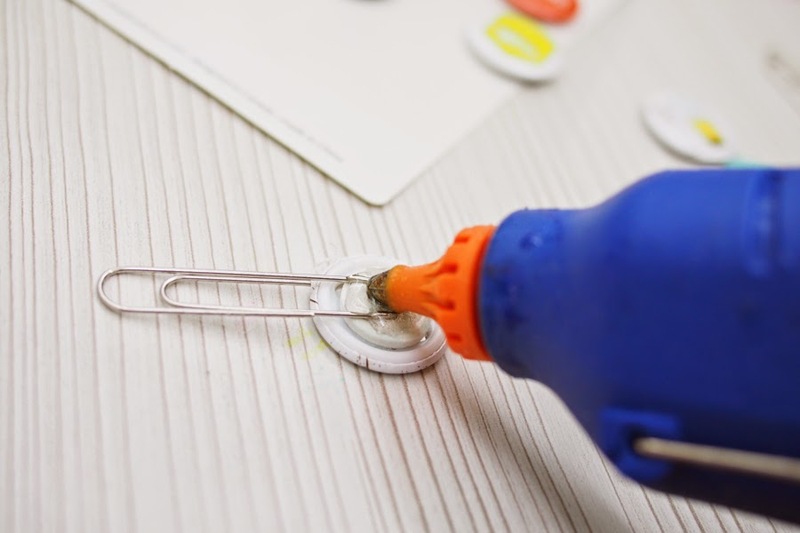 Then position the paper clips (make sure the image on the badges are not up-side down or side way) and add a dollop of hot glue, and cover it up with felt / paper / faux leather. I am using faux leather here because I have so much pleather left over from making fauxdori previously. 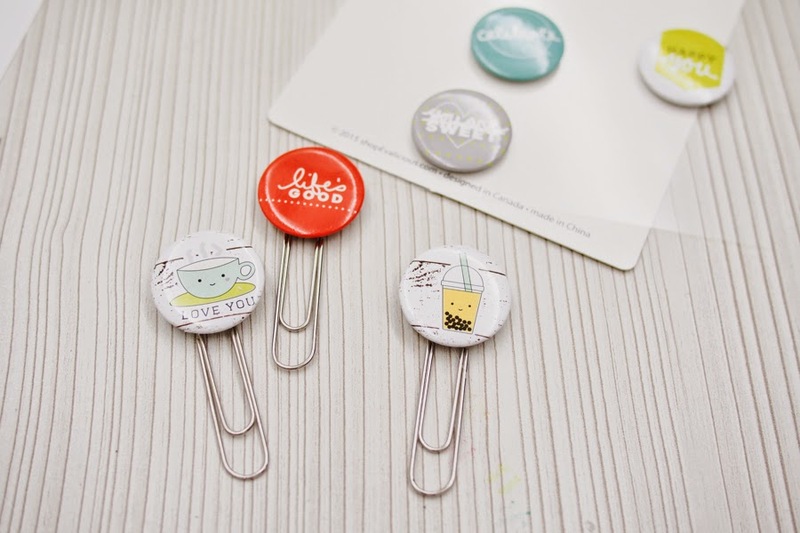 These cute paperclips are so easy to make and it literally took up 5 mins to make a bunch of these! 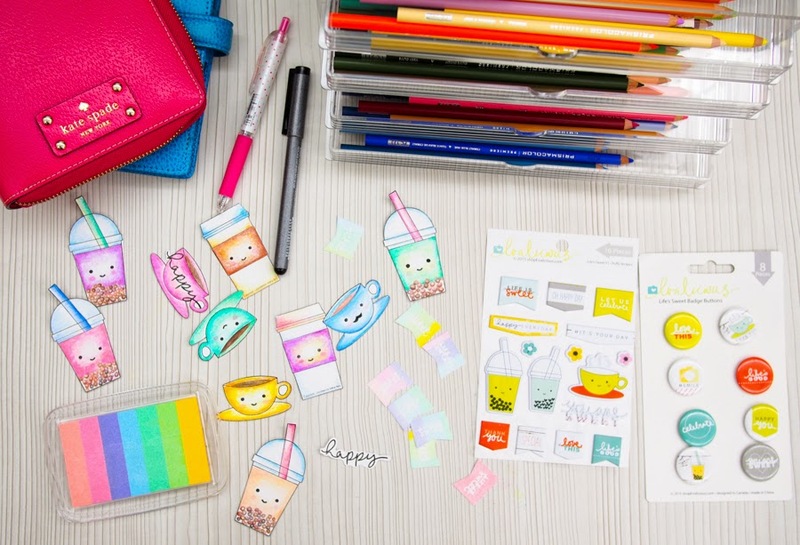 Agan, puffy stickers are so cute and perfect for scrapbooking layouts / project life pages. But adhering them on planner pages might cause some bulk and make writing on the back page a tad difficult. 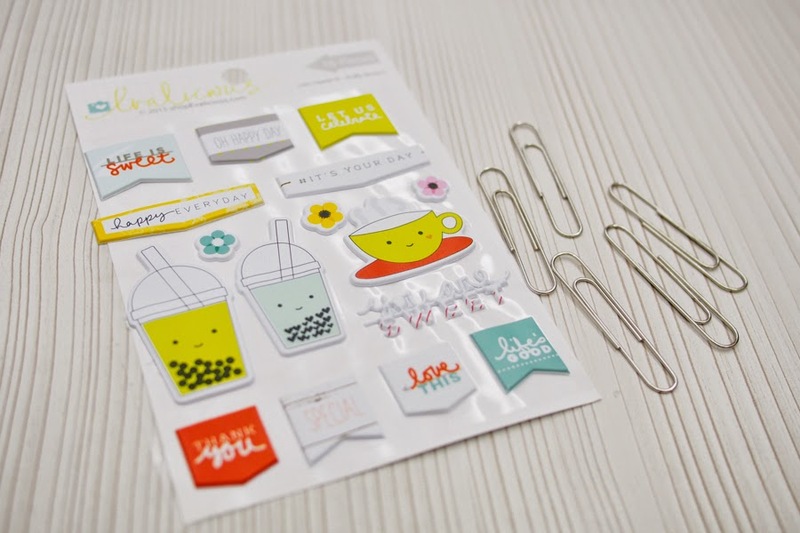 So I was thinking why not may these cute bubble tea stickers into paper clips? 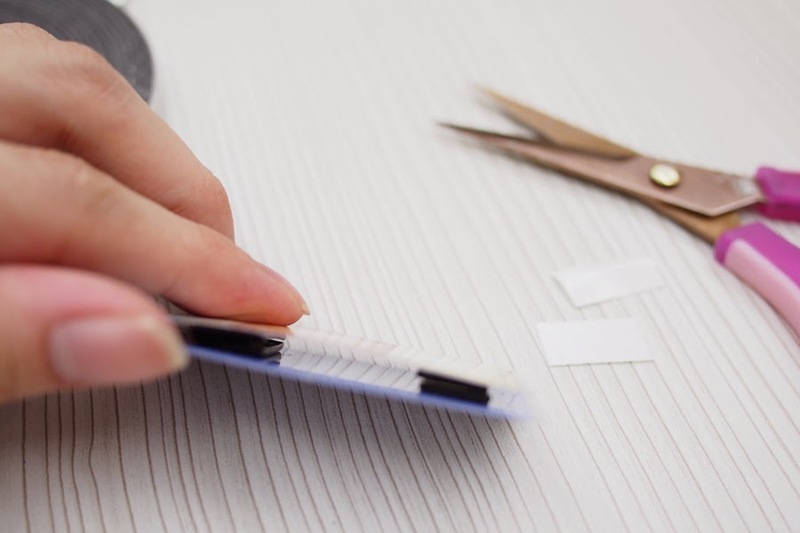 All you need to do is adhere the puffy stickers to a piece of scrap paper / felt / pleather and cut around it to cover up the sticky part. To ensure the stickers and paper clips would adhere properly, I added hot glue wall over the back of the sticker and cover it up with felt / pleather. I have also adhere two pieces of banner shaped puffy stickers together and make reversible paper clips. 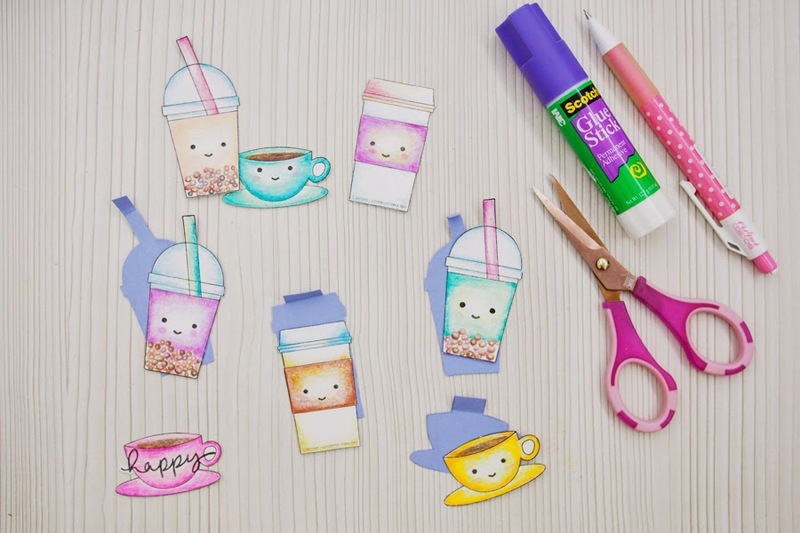 I stamped and color in a bunch of coffee cups and bubble tea. Then I took my own sweet time to fussy cut each of them. 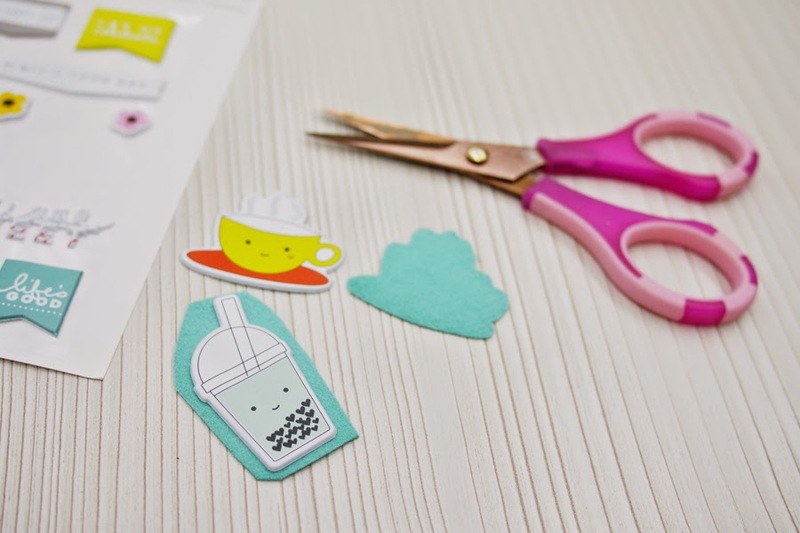 Did I mention fussy cutting could be so therapeutic? 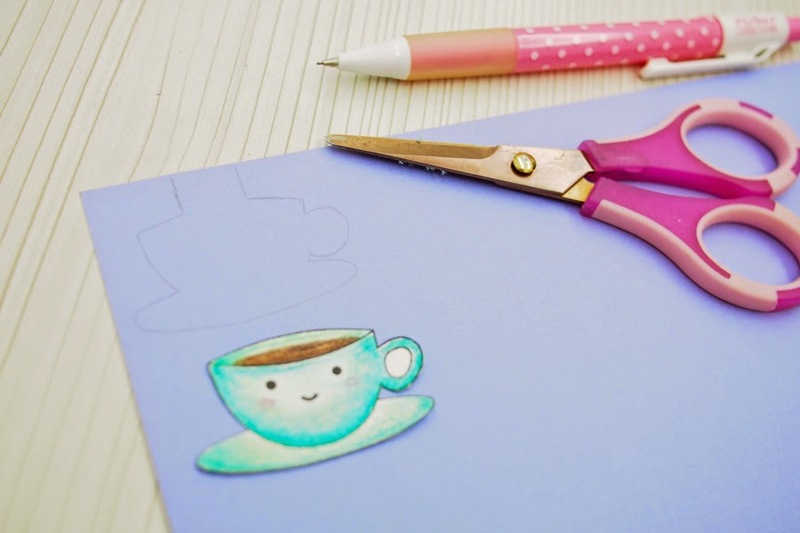 Then I trace the image of the cup on a piece of colour cardstock (which you can use white cardstock or patterned papers too). 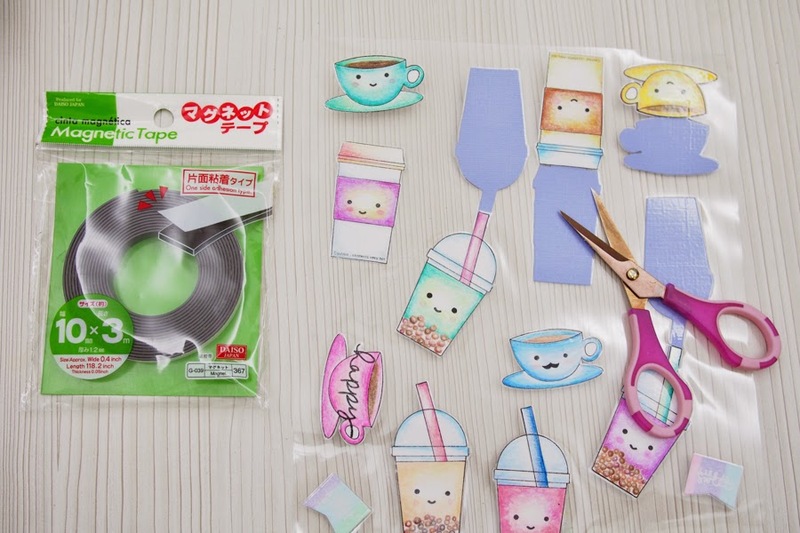 Then I cut out the traced image for all the cups and milk tea. p.s. I cut an extra flap for each traced image as show above so that I could attached the two pieces together. I laminated all the images and cut them out again. 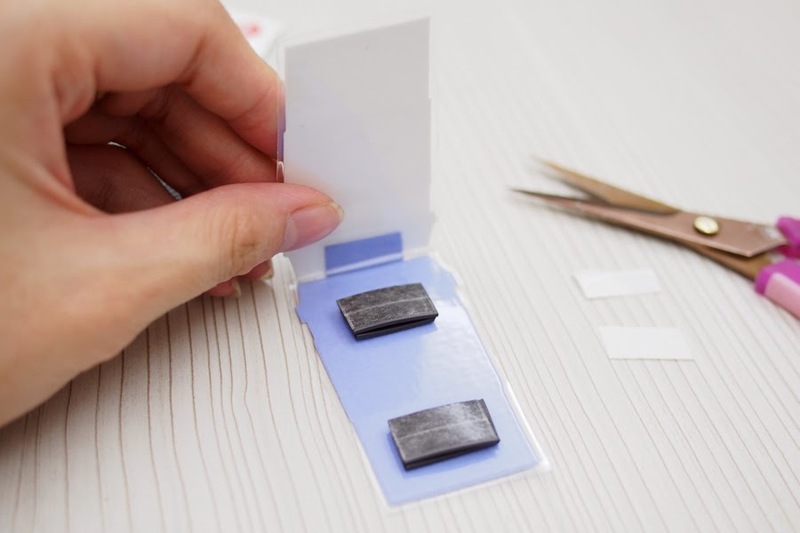 You would need magnetic tapes (or mini magnet disc) which I got mine from Daiso. 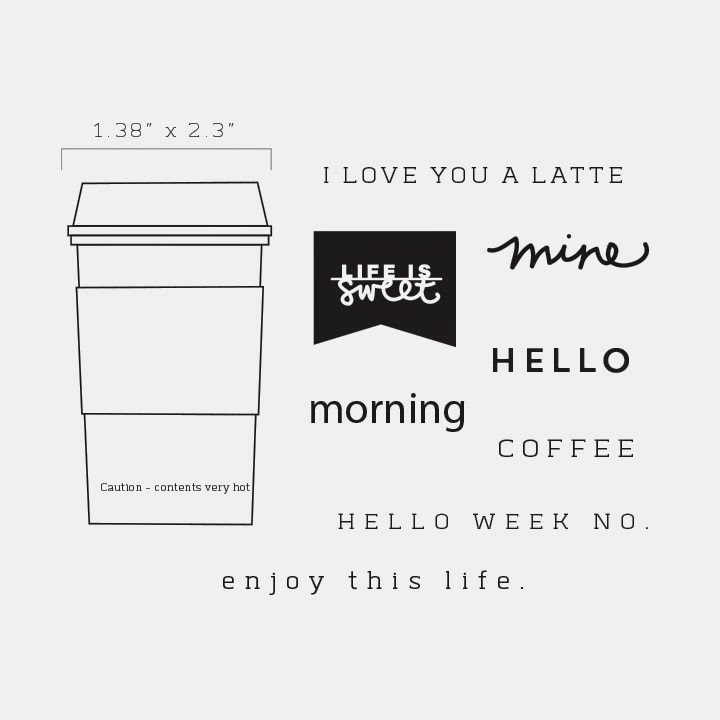 I cut out 4 pieces of magnetic tapes for the coffee cup bookmark. 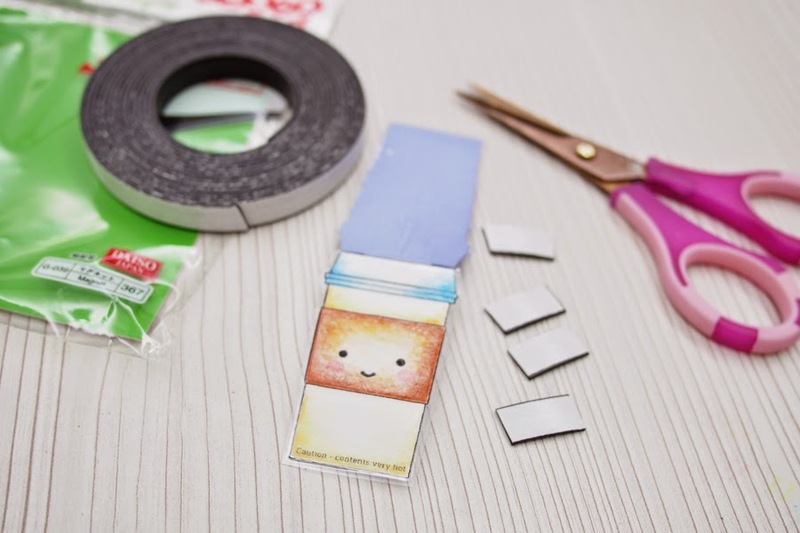 To attach the magnetic tapes, I peel off the backing and attach two pieces on the inside of the bookmark. 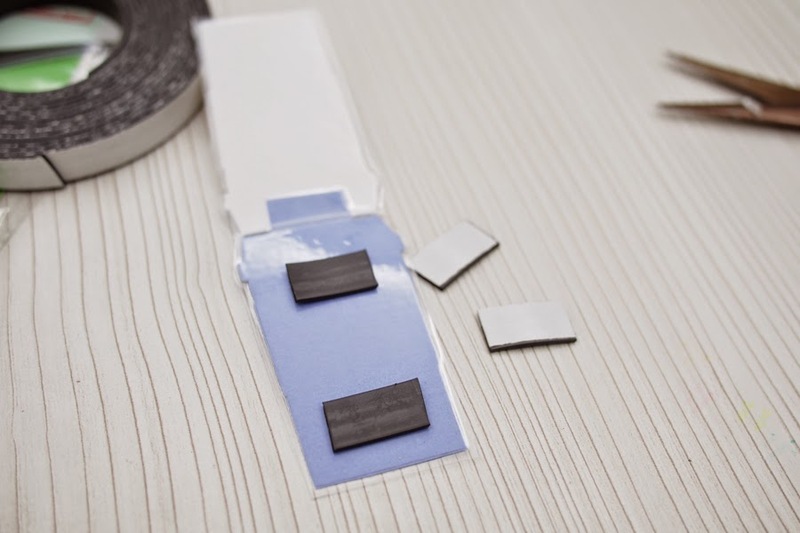 Then put the other two pieces on top of the adhered magnet tape (to ensure there are align properly). 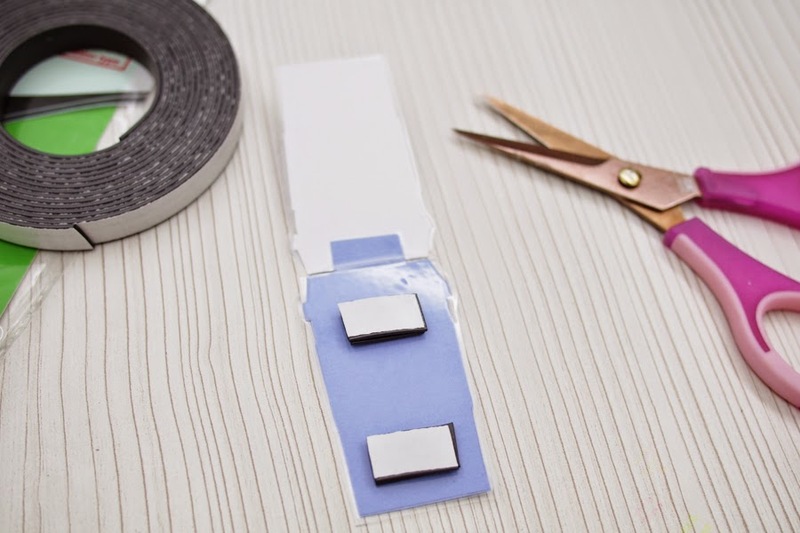 These is how the magnet tapes look like when they are aligned properly. 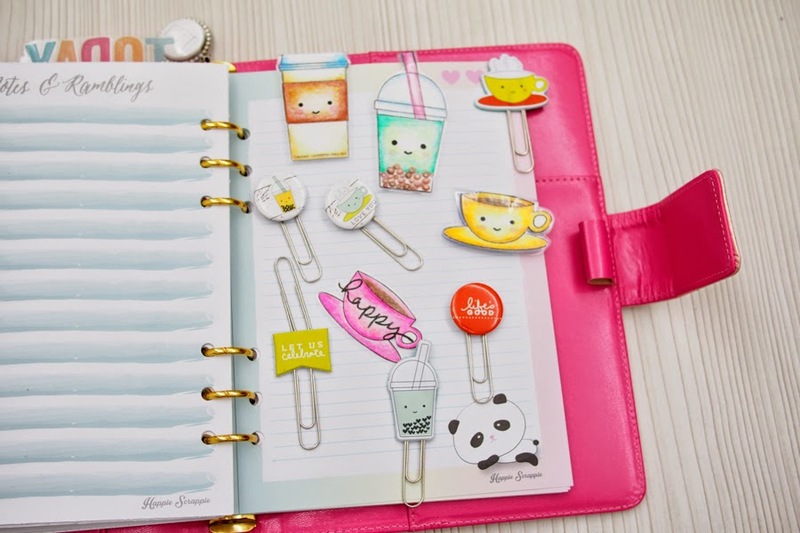 And now you have a cute magnetic bookmark. And after an hour of stamping, colouring, cutting and gluing paper clips, I have a bunch of cute paper clips for myself and my planner friends. 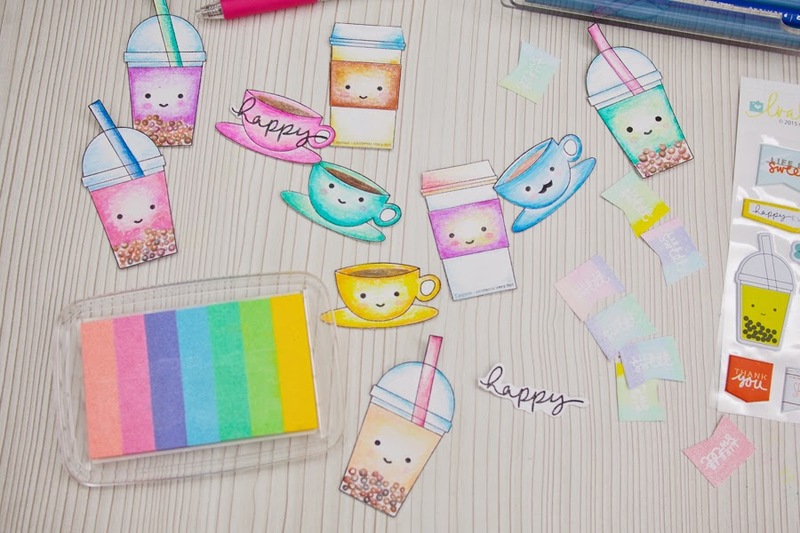 I hope for those who don't scrapbook or make project life pages, would find some ways to use these cute scrapbooking supplies in your planners. LOVE this post...such awesome and clever ideas!